Microsoft Technology Centre is installed at Zaventem Airport, in the Passport Building which almost looks over the tarmac. And guess who’s also touched down there, alongside five other exhibitors, to impress international and tech-savvy travelers? That’s right. “At the Microsoft Technology Centre (MTC), you discover how you can create a coordinated solution for certain problems, using a combination of Microsoft technologies such as Dynamics, BI and Outlook. The ideal place for us to show our demo of FMCG365. 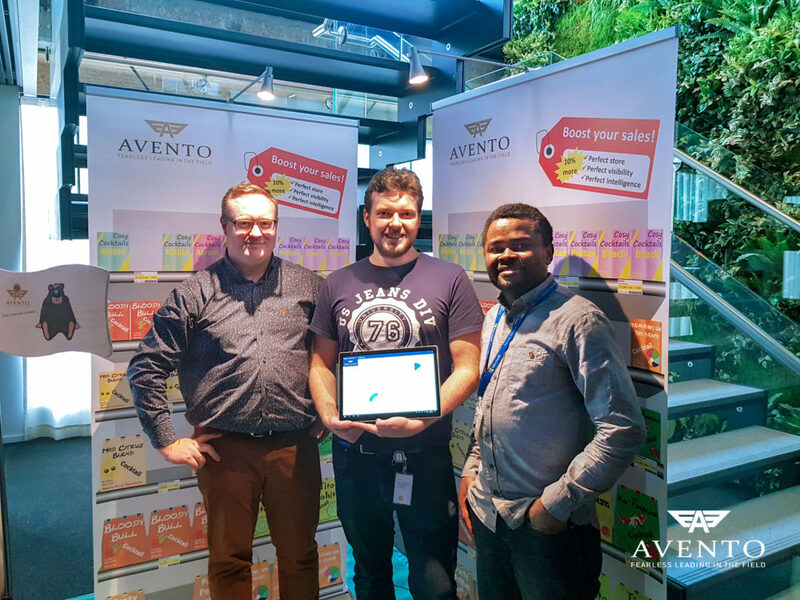 That’s our mobile CRM solution for fast moving consumer goods, which we based on Microsoft Dynamics 365 and Resco Mobile CRM,” says Steven De Backer, product manager FMCG365. “Microsoft has its own exhibition stand for its recently launched Hololens2, which shows you a ‘mixed reality’ through a special type of glasses. For example, the Hololens can show a field manager how displays have to be folded and set up. The ‘Internet of Things’ also has its own stand: an installation with a defect heat pump generates a work order and a schedule for the maintenance by itself. But we really stand out,” Steven says with a smile. Those tempting cocktails were given fictitious names, such as Agrum Bum Bum and Tito Mohito. “The MTC’s are spread out all over the world, with 16 centers in Europe alone, so this concept is very well-known. With our striking presence here, we hope to attract an international business audience,” says Steven. “Our appearance at the MTC is not of the same kind as our appearance on Microsoft’s AppSource, but it does serve the same purpose. Supporting our expansion. For some big clients, we’re already active in foreign locations. Via the MTC we can directly appeal to an interested audience and explore new segments of the market. We’re ready,” concludes Steven.